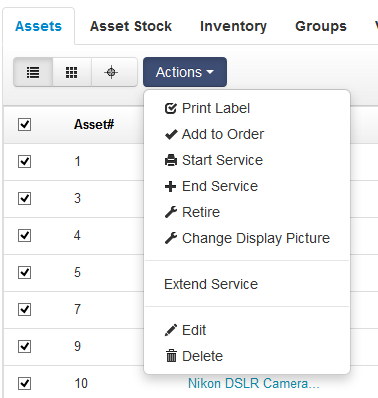 FAQs / How do I delete multiple assets? Deleting an asset permanently removes it from the system. We recommend that you “Retire” assets that are no longer needed. Only the account owner can delete assets/inventory records in bulk to clean the account. 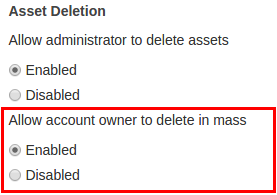 1) From Settings -> Company Settings -> Asset Deletion, enable ‘Allow account owner to delete in mass, as shown below. 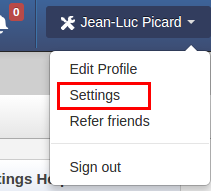 Note: Make sure you save the settings by clicking the button at the bottom of the page. 2) Then go to your items listing page, select all the items that you need, and delete them from the Actions drop down -> Delete Note: You can increase the records per page from Settings -> My Settings to max i.e. 100. It will enable you to delete 100 records in a go.